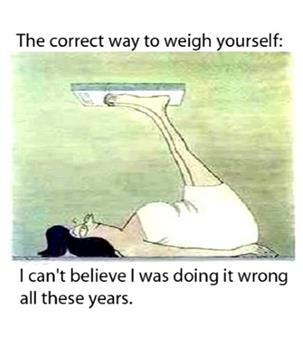 I finally found the a quick and lasting answer to my weight loss program, who would have ever thought it was this easy! Sharing the Good News is one beggar telling another where to find bread! I am sending February Hugs to all of you. Have you ever had days when your mouth engages before your brain does? I will admit I do. I was thinking back when I had stopped at McDonald’s with my teenagers, and young man was taking my order. He had trouble remembering my order and getting it put into the computer. In my mind I was sure he was a few French fries short of an order. The line was getting longer and the people behind me we getting restless with this never ending comedy of errors. I was on my last nerve. I was almost ready to tell the kid what an idiot I thought he was, I definitely thought it. Looking up from the register with a big smile of recognition on his face, he said, “I like your necklace, I have one too.” In shock I remembered I had my “WWJD” (What Would Jesus Do) dog tag on, and he pulled his out too. I stood with my mouth open as he related to me that his youth group at church were all wearing “WWJD” tags to remind them to be kind and loving to others. He also told me how excited he was about getting his new job. As I left, with my order I weakly smiled and thanked my young server, and felt guilty about my bad attitude. I thanked God for keeping me from saying what I was thinking. I am sure I would not have pleased Him at all. Have you ever felt like God has just slapped you across the face with a rebuke so strong and hard that you will never forget that moment or how you felt? I remembered the day I bought that necklace, I thought it was a good reminder for me to watch my words and actions so I could please and honor the God I love. I haven’t worn that necklace in a while, I need to find it, put it back on and remind myself God cares how I represent Him, and I should too. We live in a world where people need desperately see God’s love. If we were the only Bible people read, I wonder what their opinion of Him would be. True love doesn’t consist of holding hands…It consists of holding hearts. Dear Friend, thank you for spending your time with me. I would love to hear from you. What has God been teaching You? leave a comment below.